Solo exhibition "Exhibition After Exhibition" will be on view from 27 September until 28 October 2018 at the Latvian Museum of Photography in Riga. It is an exhibition about the practice of the photographer/artist, his/her creative heritage, relations with the spectator and power. Opening Thu 27 Sep 5pm. Solo exhibition "Victory Park" is on view at the Central European House of Photography in Bratislava from 4 April until 6 May 2018. "Victory Park" is on view from 2 February until 8 April 2018 at the group exhibition "Looking in, looking out" at the Mark Rothko art centre in Daugavpils. The exhibition also features works by other Latvian artists - Līga Spunde, Ieva Balode, Roman Korovin, Alnis Stakle and Ieva Epnere. 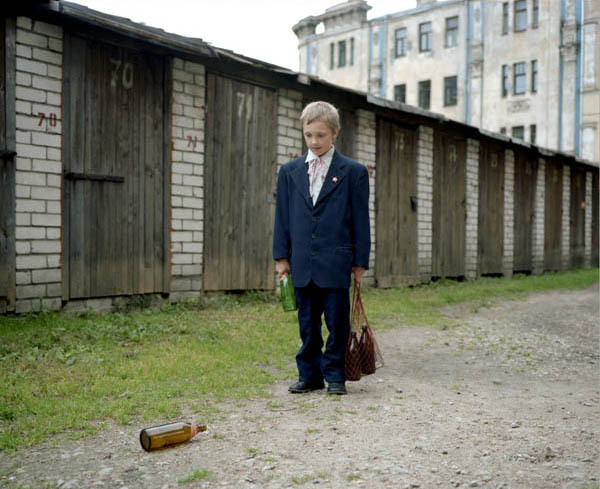 The series "Victory Park" are on view from 16 September until 15 October 2017 at the Opera and Philharmonic - Podlasie European Center for the Arts in Bialystok, Poland as one of the events of the Interphoto festival of photography. The photobook Victory Park will be exhibited at this year's Athens Photo Festival, PHotoEspana and Les Rencontres d'Arles. 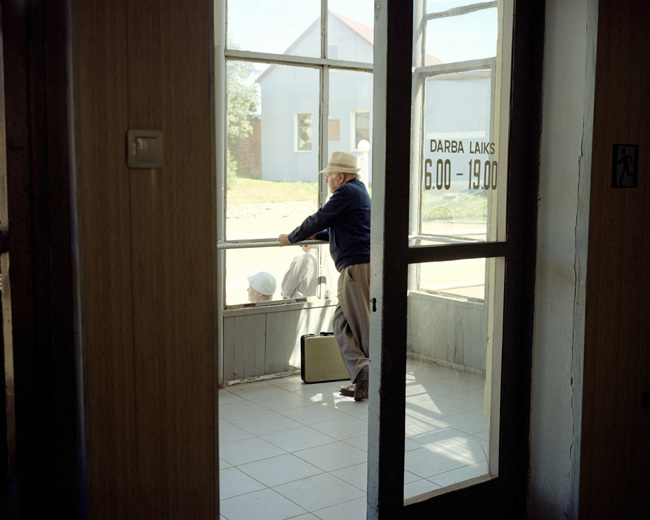 A new photo book by Arnis Balcus has been released. "Victory Park" is designed by Tom Mrazauskas and is published by Brave Books, Berlin in collaboration with KultKom, Riga. 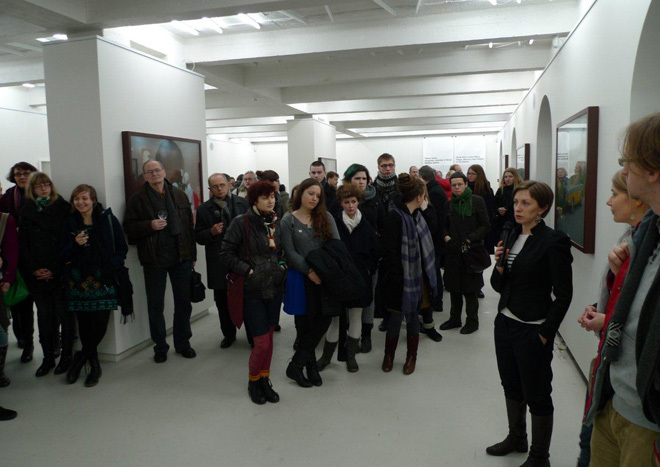 The launch event in Riga took place on 1 December 2016 6pm at Robert's Books bookstore in Riga. The Berlin lauch will be on 12 January 2017 7pm at Anagram Books the London launch - 16 March 6pm at the Photographer's Gallery bookshop. YOU CAN ORDER THE BOOK HERE. 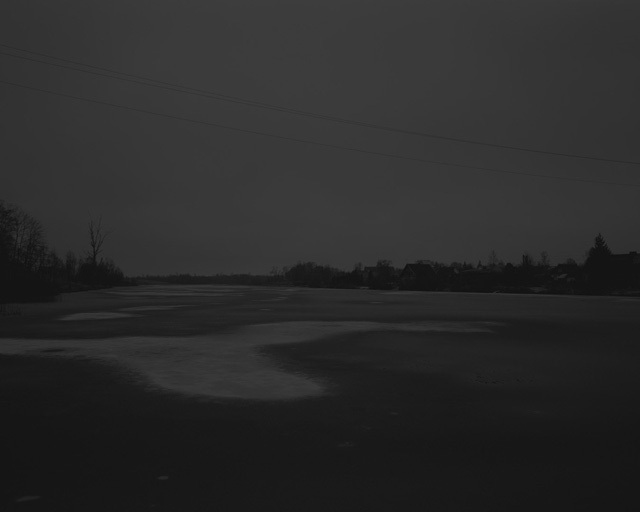 The exhibition "Latvian Landscape" that contains Arnis Balcus' work from the series "Beyond the Blue River" will be on view at Siauliai Art Gallery in Lithuania from 6 until 28 November 2015. The opening is on 6 Nov 5pm. 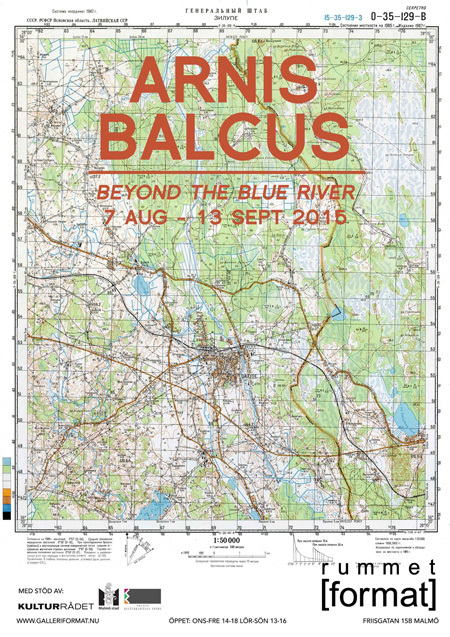 Arnis Balcus will have a solo exhibition "Beyond the Blue River" at Rummet of Fotogalleriet [format] in Malmo, Sweden. The show will run from 7 August until 14 September 2015, the opening is on 7 Aug 5pm. Some work from the series "Beyond the Blue River" will be on view at the international photography festival Format in Derby, UK. The show will run from 13 March until 7 June 2015. The opening is on 12 March 6.30pm at Quad, Derby’s visual arts and media centre. 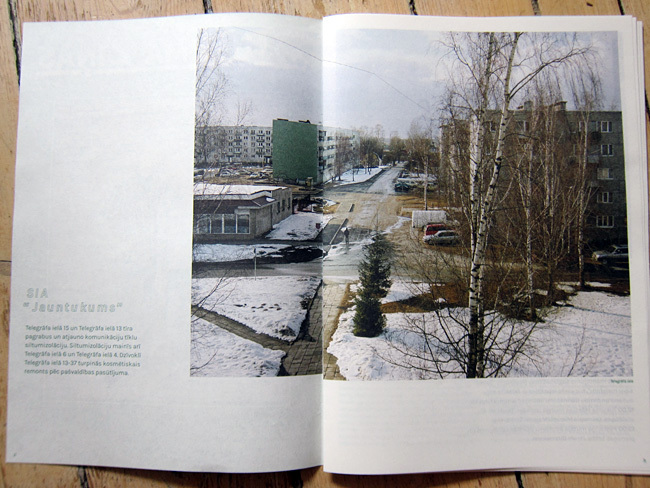 The book "Latvian Landscape" is out now and available from this website. Limited number of signed copies are also available at 35 EUR plus shipping. The latest series "Beyond the Blue River" (Viņpus Zilupei) will be on view at Mark Rothko Art centre in Daugavpils, Latvia. 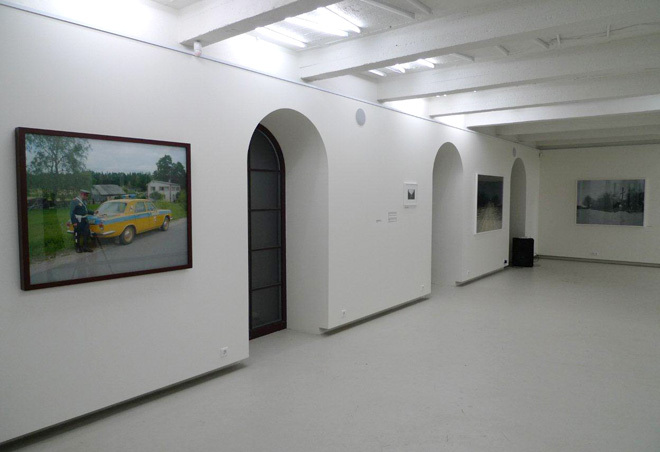 The group show called "Latvian Landscape" will run from 13 February until 12 April 2015 and will also feature works by Iveta Vaivode, Alnis Stakle, Reinis Hofmanis and Ilze Vanaga. The book will also be launched. The opening is on 13 February 4pm. 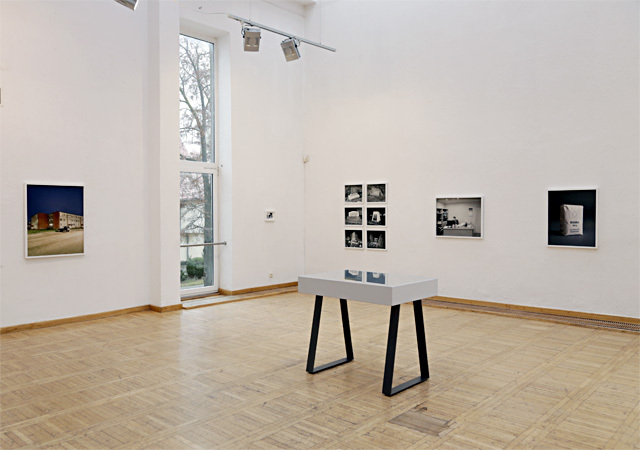 Arnis Balcus is one of the artists in the group show "Traces - Contemporary Baltic Photography" that will run from 29 October until 27 November 2014 in FUGA in Budapest. 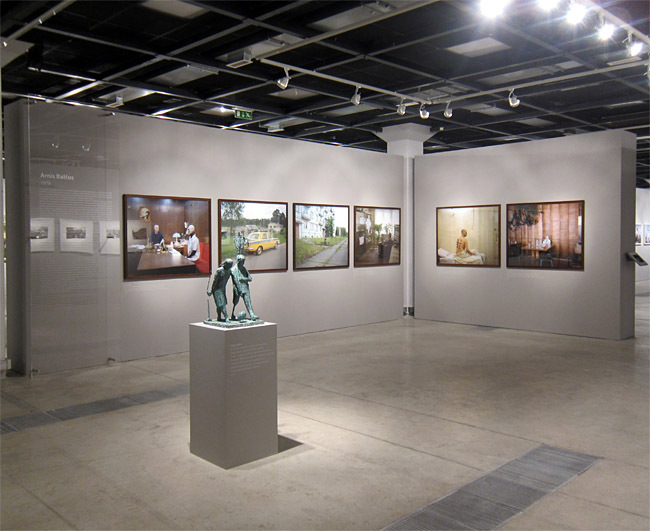 The show is one of the main events of Hungarian Month of Photography. The opening is on 29 October 5pm. Arnis Balcus will show the video "Latvia 89-91". 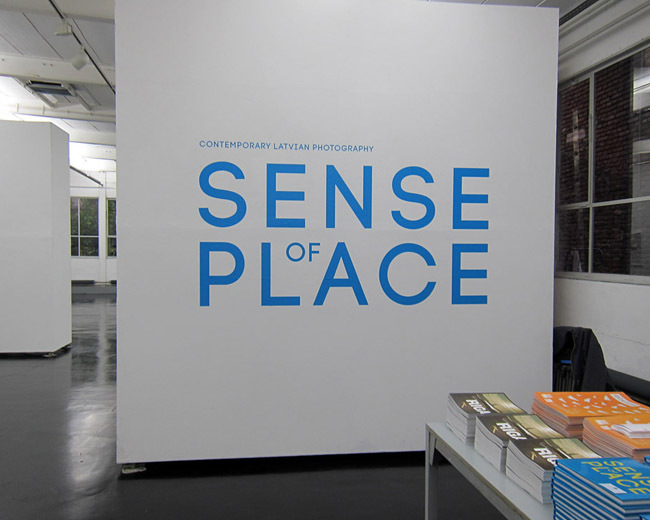 The exhibition "Sense of Place" with photographs by Arnis Balcus, Alnis Stakle and Reinis Hofmanis will be shown at Y gallery in Minsk, Belarus from 6 until 30 October 2014. 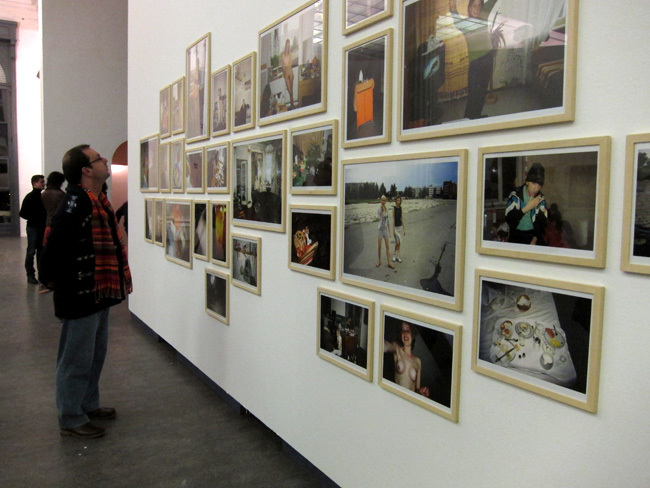 The exhibition is part of the first Month of Photography in Minsk, the opening is on Monday 6 October 4pm. 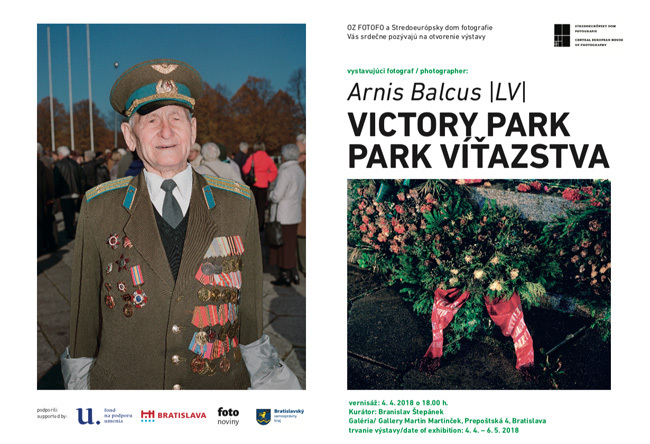 Arnis Balčus' solo exhibition "Victory Park" will be held at Mūkusala Art Salon in Riga from 6 August until 13 September, 2014. The opening is on 6 August 6pm. 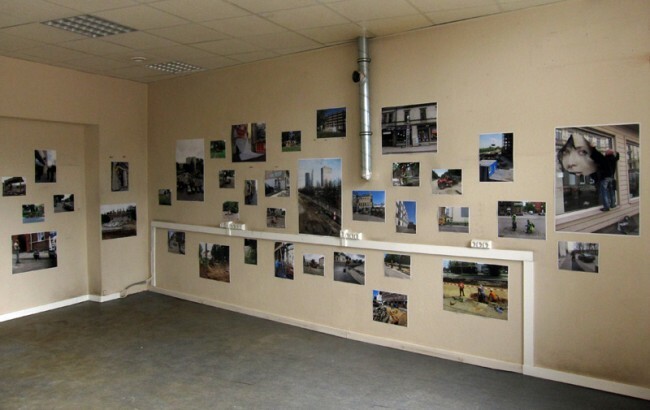 The exhibition "Sense of Place" with photographs by Arnis Balcus, Alnis Stakle and Reinis Hofmanis will be shown at Prospektos Gallery in Vilnius from 19 June until 5 July 2014. The opening is on Thursday 19 June 5.30pm. 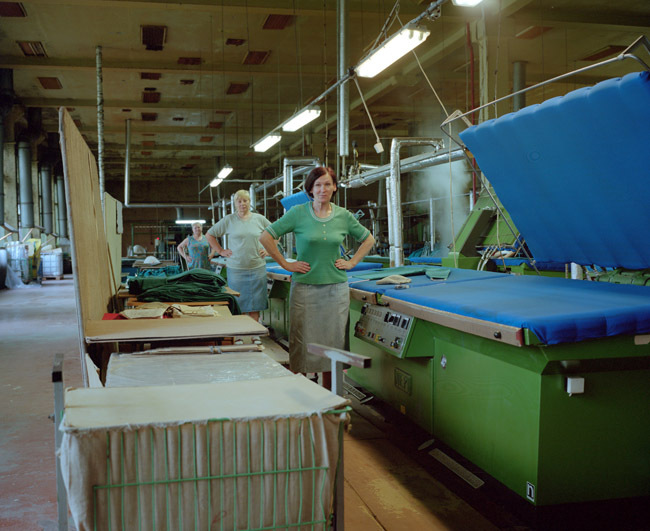 Photographs from the series "Latvian Notes" will be on display at the group exhibition "On the Wave". 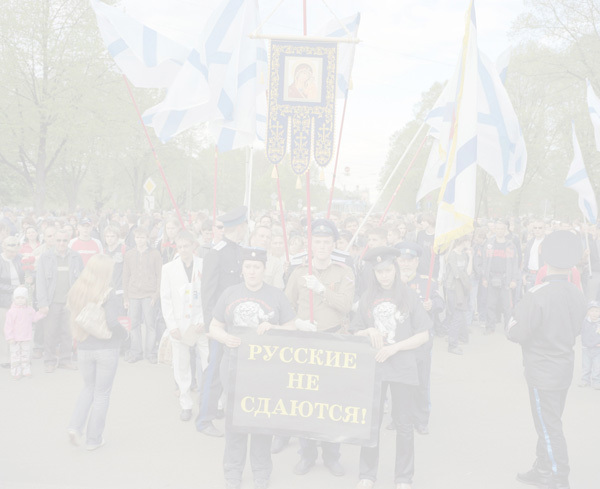 The show will be held at Riga Art Space from 14 June until 24 August 2014. The new series "Victory Park" will be shown in a solo exhibition at Street Level Photoworks in Glasgow from 4 April until 18 May 2014. 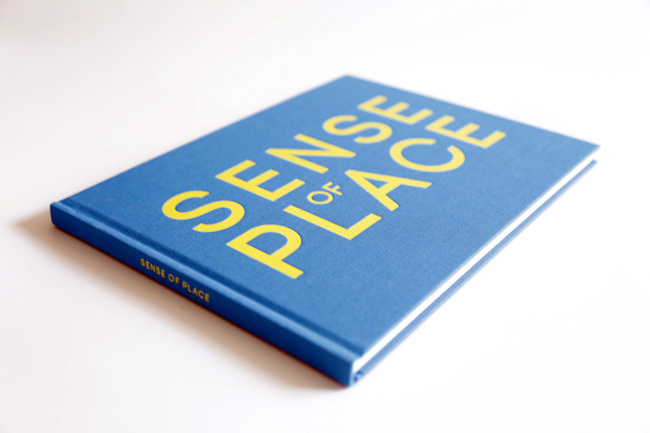 The book "Sense of Place" that contains photographs by Arnis Balcus, Reinis Hofmanis and Alnis Stakle is available from FK Magazine website [with more info and video of the book]. Signed copies available from artist's bookshop, click on the left menu. The 96-page hardcover book costs 17 EUR only + shipping. 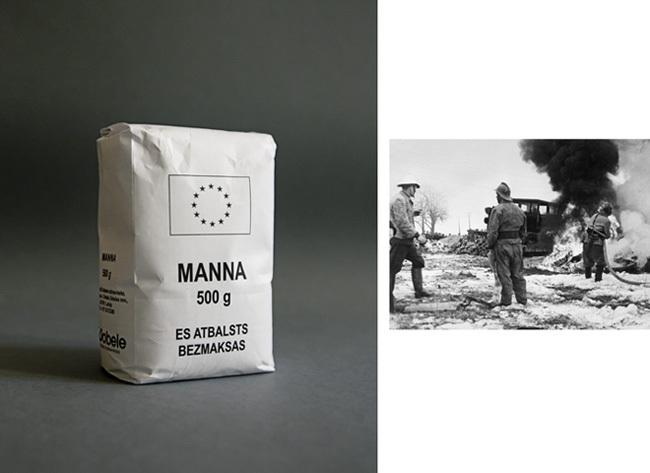 Those in Latvia can also purchase it at Janis Roze bookshops, Lukabuka and the Museum of Photography. Arnis Balcus' series "Latvian Notes" will feature in a goup show "A Sense of Place: Contemporary Latvian Photography" at the AusstellungsHalle 1A in Frankfurt, Germany. The exhibition that will showcase also work by Alnis Stakle and Reinis Hofmanis runs from 17 October until 10 November 2013. The opening is on 17 October 7pm. The 96-page catalogue has been produced and is available from FK Bookshop. Arnis Balcus' work from the series "Amnesia" will feature in a group show "East and Europe - Eastern European Contemporary Art" at the City Exhibition Art hall in Hong Kong, China. The opening is on 17 October 6pm. The show will run until 2 November 2013. 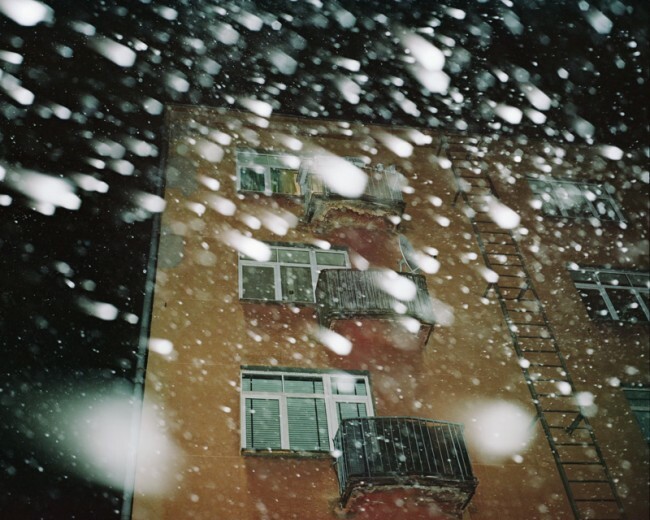 Arnis Balcus' photographs from the series "Amnesia" will be on view at the exhibition entitled "…for an occurrence to become an adventure…" that will run at Riga Art Space from September 20 to October 27, 2013. 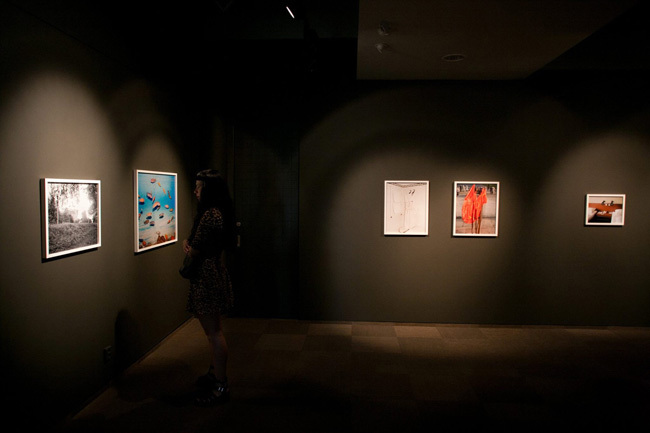 The exhibition consists of art works from the ABLV bank collection. Since 2005 ABLV bank have been accumulating a collection of contemporary art, to become part of the collection of the Contemporary Art Museum as soon as it is built. 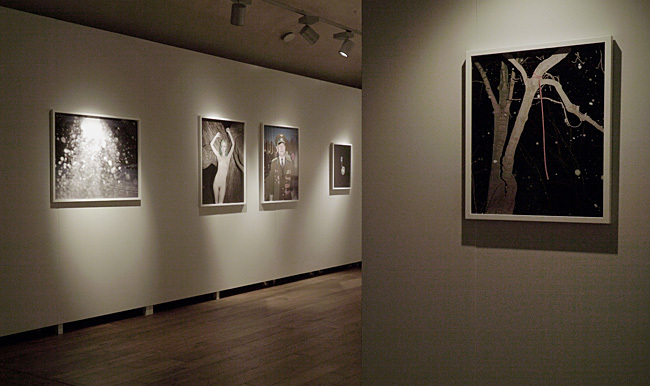 Last year ABLV bank purchased full set (13 photographs) of the "Amnesia" series. 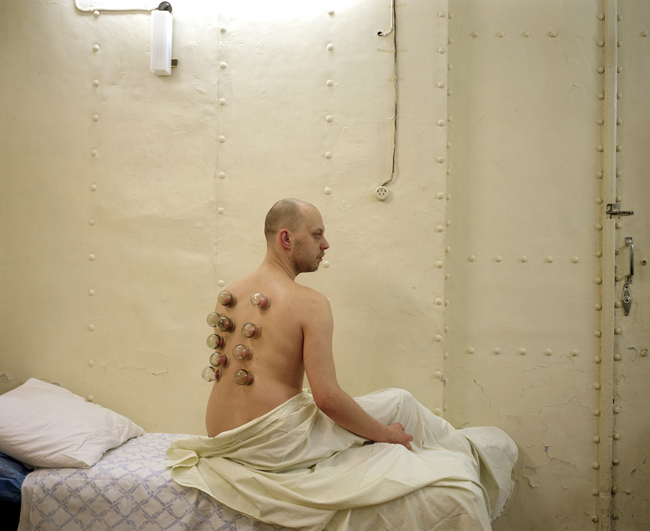 Arnis Balcus is the finalist of the Renaissance Photography Prize. Two of his works will feature in the exhibition that takes place at the Wapping Project Bankside gallery in London from 3-7 September 2013. 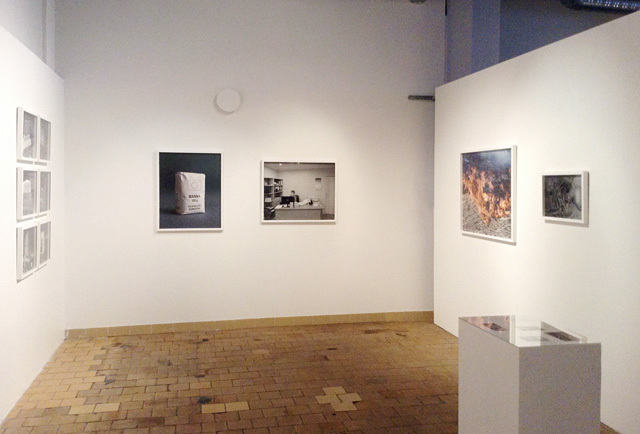 A few works from the series "Amnesia" are shown in the exhibition "I See Europe!" 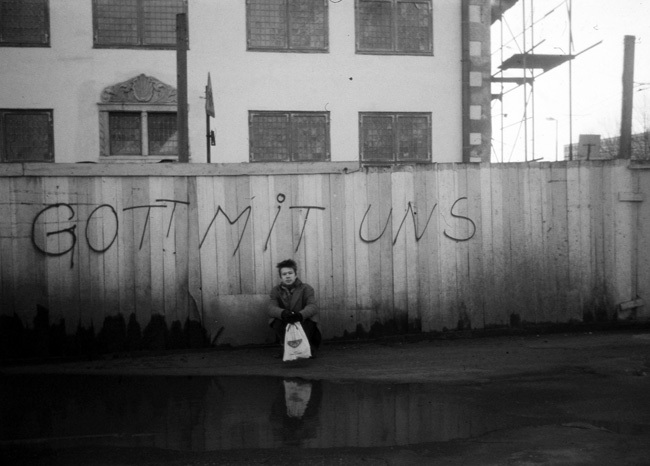 at Kunstbezirk Galerie in Stuttgart, Germany. The show runs from 16 August until 15 September 2013. More information on their website. 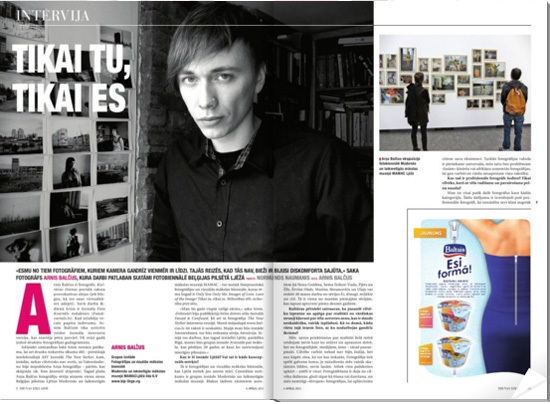 Arnis Balcus has created a newspaper called "Tukums news" that features his photographs as well as articles from the regional newspaper "Independent Tukums news". The project has been commissioned by Tukums Museum and is part of the event "Notes of Tukums" that runs from 27 July until 1 September 2013 in Tukums, Latvia. The 28-page publication "Tukums news" will be available for free at various venues in Tukums, such as the Tukums Museum, Culture house, Tourist office, City council and other places. Print run is 800 copies only. 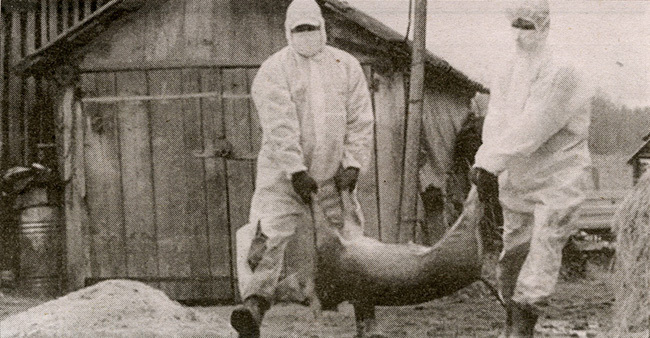 More info on the event "Notes in Tukums" [in Latvian]. 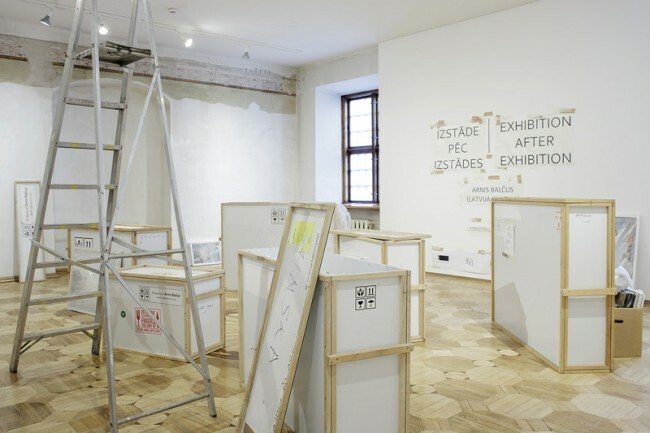 Arnis Balcus is one of the artists in the group show Revisiting Footnotes I that runs from 23 May until 28 June 2013 at LCCA Office gallery in Riga. The artist's talk will be also held on 23 May 1.30pm during the symposium in the framework of the show. More info on LCCA website. 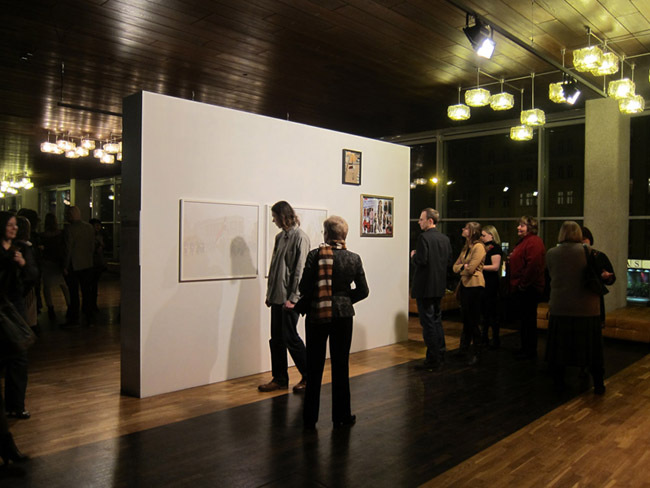 Arnis Balcus is taking part in the group exhibition "The Red Room" that runs from 22 February until 13 June 2013 at Daile theatre in Riga. The four photos under the title "Repression" point out the customary courses of the Latvian society, how we escape and hide from ourselves. 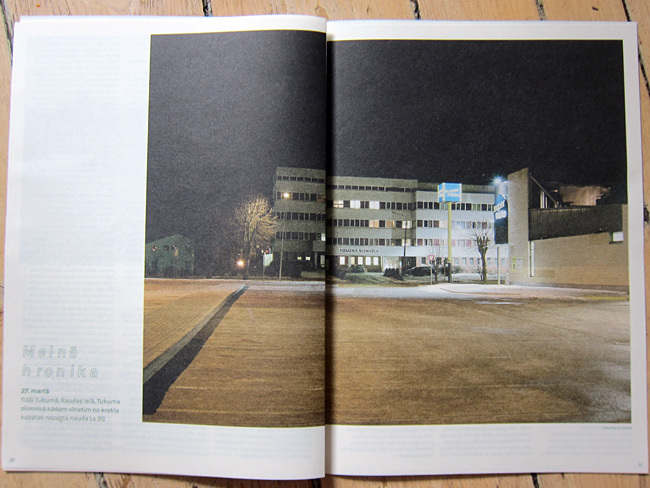 Arnis Balcus' work from the series "Latvian Notes" features in this year's Latvian Photography Yearbook that is out on 25 October 2012 by FK Magazine. The book can be ordered from their website and you will be also getting a real print in it. Arnis Balcus is presenting his latest work at the programme Urban Renewal within the art festival Survival Kit at Tabakas fabrika in Riga. 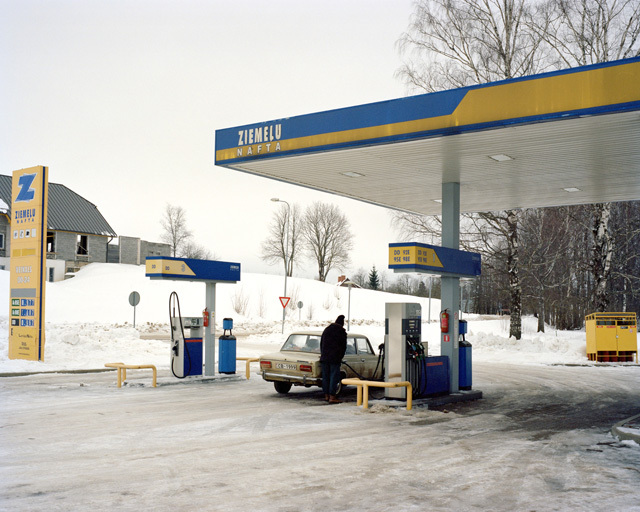 The photographs depict the world of builders, cleaners and other landscape people in Latvia in 2012. 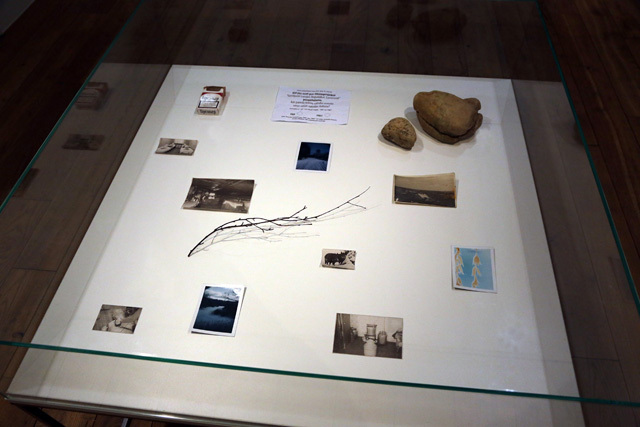 The exhibition runs from 6 until 16 September 2012. Later in the month the show travels to Mersin in Turkey. 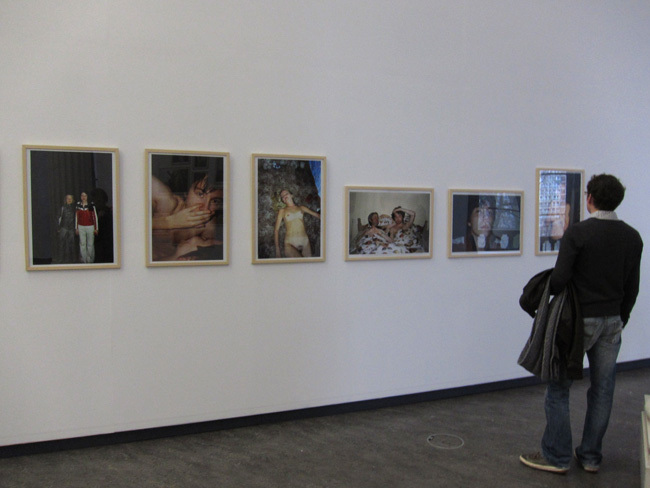 30 photographs from the series "Myself, Friends, Lovers and Others" are featured in the group exhibition "The Naughty Ones - Artists As Challengers of Society" that is being held from 15 June until 29 July 2012 at the exhibition hall of Arsenals museum in Riga. 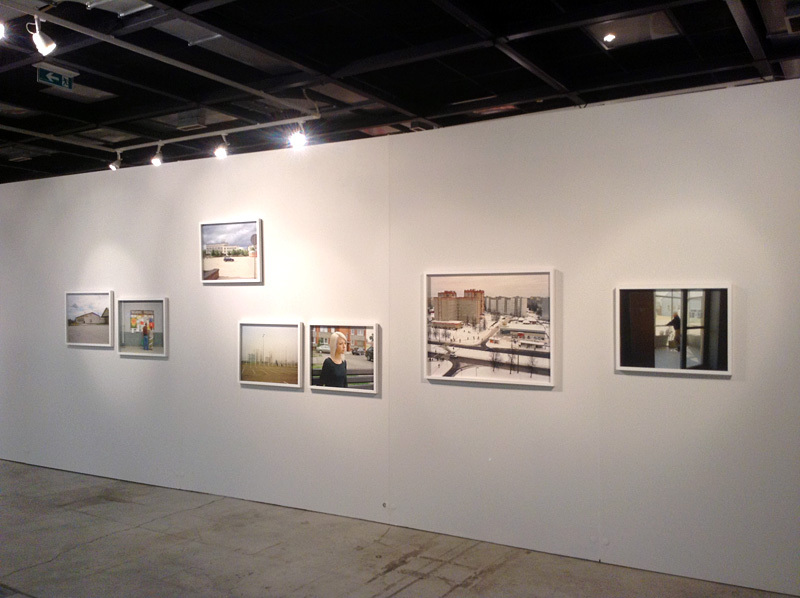 Arnis Balcus and Alnis Stakle are representing Latvia in the GRID photography festival in Amsterdam. The festival runs from 17 May until 1 July but the opening will be held on 16 May 6pm. 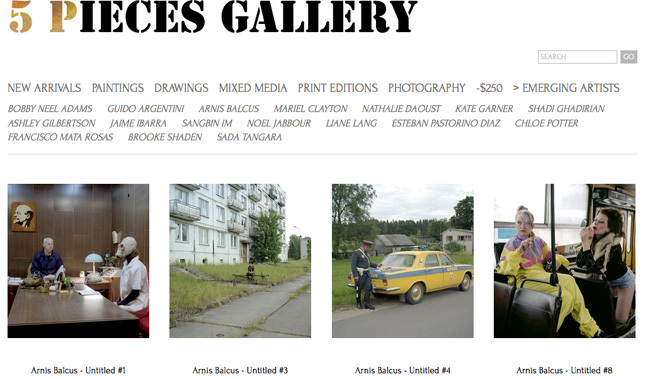 Arnis Balcus is the artist of the week at the Latvian art portal Arterritory. You can read a short interview in English, Russian and Latvian. 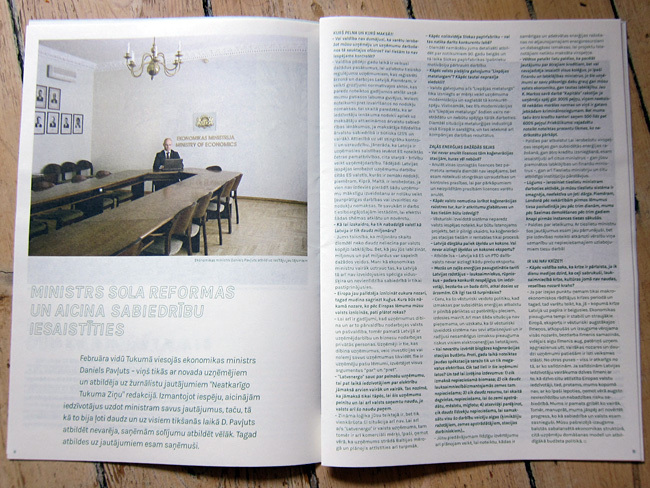 Interview with Arnis Balcus can be read in the 4 April 2012 issue of Izklaide magazine, a supplement of the newspaper Diena. Available in Latvian only. About 40 works from the series "Myself, Friends, Lovers and Others" can be seen in the exhibition "Only You Only Me" at MAMAC in Liege, Belgium. 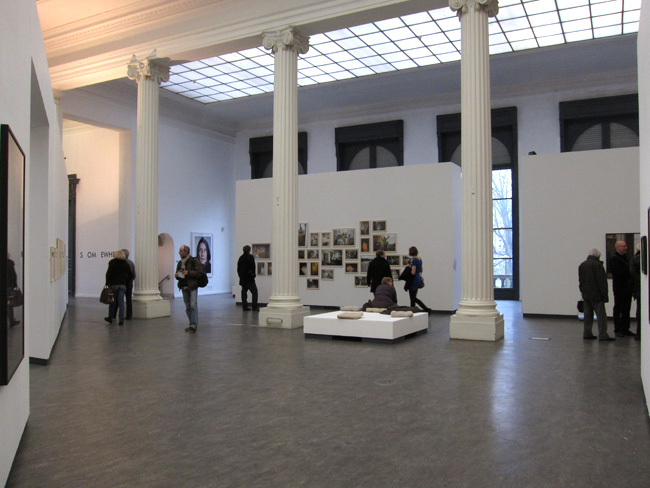 It is the main exhibition at the 8th International biennial of photography and visual arts in Liege that runs from 10 March until 6 May 2012. Prints from the series "Amnesia" can be purchased through 5 Pieces Gallery in Switzerland. Check their site for more info. 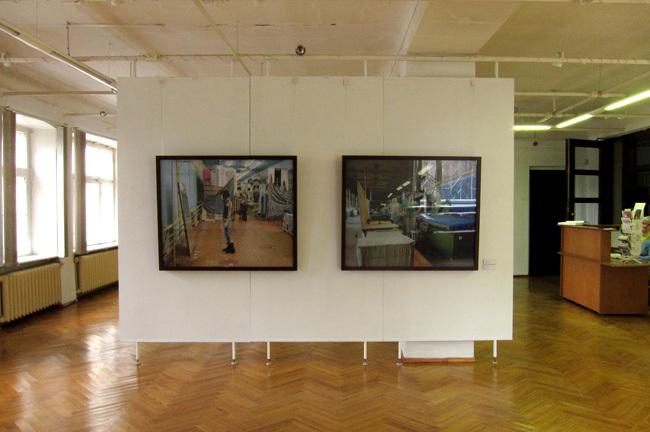 A few works from the series "Amnesia" are displayed in the exhibition "The Memory of Images" at Tukums Museum. 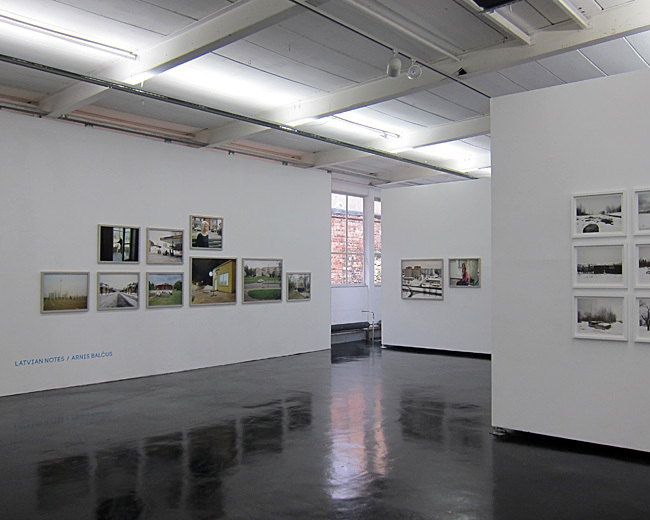 The show that also features work by Andrejs Grants and Katrina Neiburga runs until 13 May 2012. 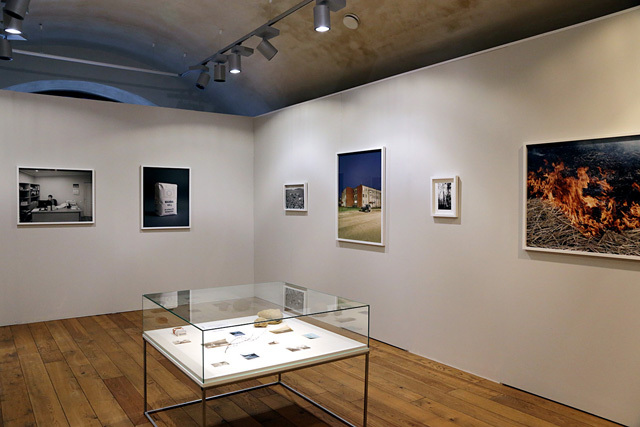 Artist's talk will be held on Saturday, 14 April 2pm. 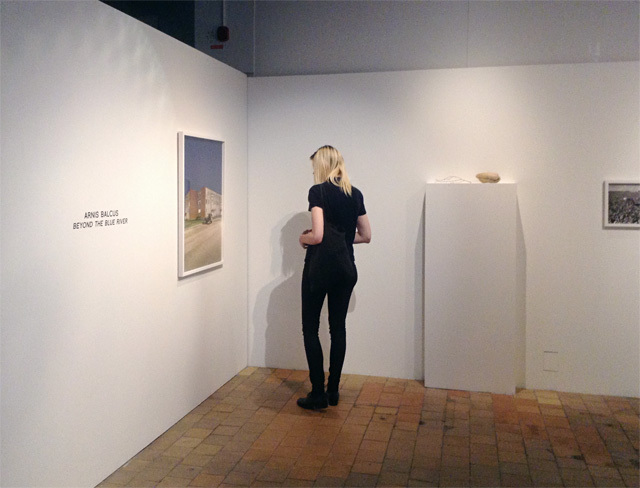 The exhibition "Generation of the Place: Image, Memory and Fiction in the Baltics" that was on display at Tallinn Art Hall last year now travels to Kaunas Photography gallery in Lithuania. 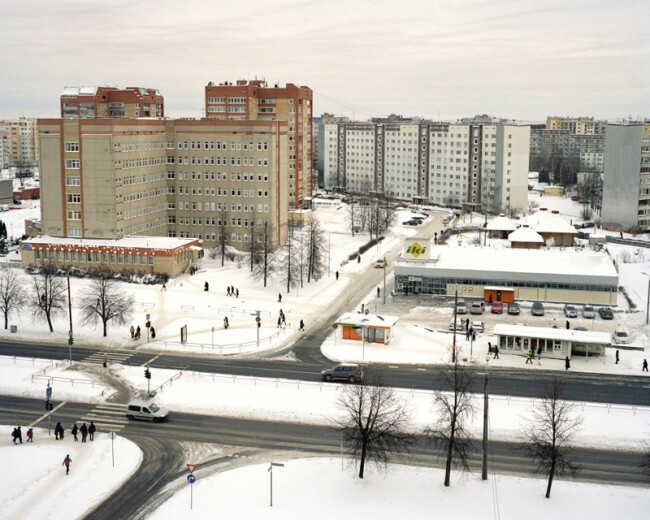 The series "Amnesia" is included in the show of 10 contemporary Baltic photographers that runs from 2 until 23 March 2012. 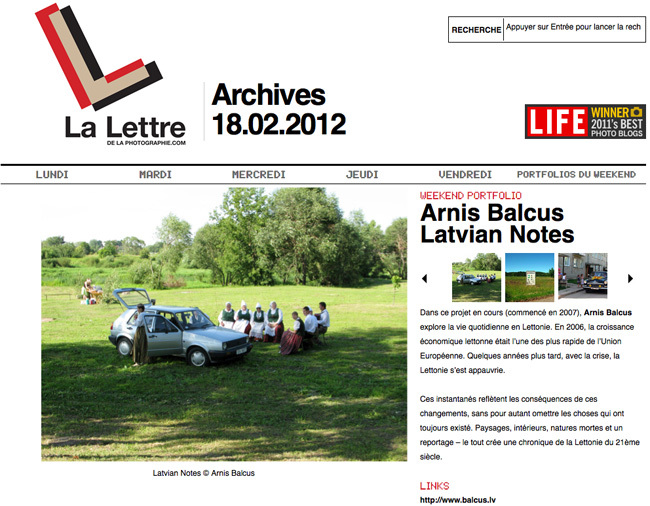 The series "Latvian Notes" is featured in French photo blog La Lettre De La Photographie. 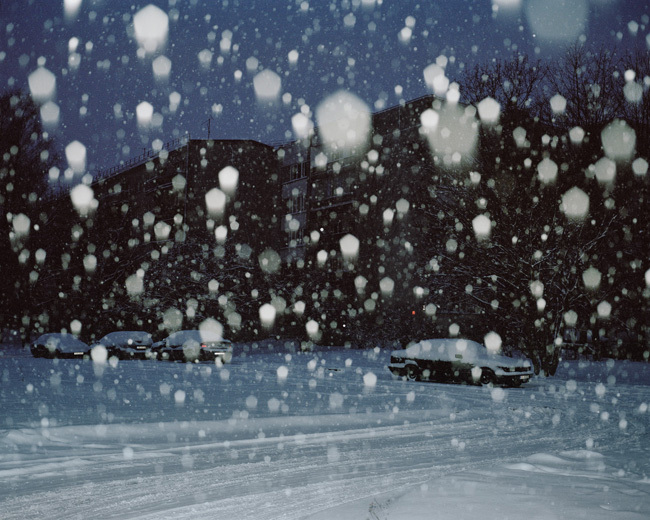 On 14 February a photo from the series "Myself, Friends, Lovers and Others" is featured in the The New Yorker's blog. 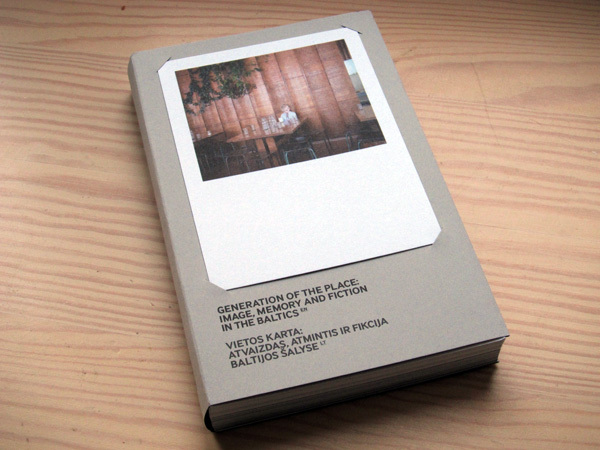 The series Amnesia is featured in the book "Generation of the Place" that has been launched in early 2012 in Lithuania. 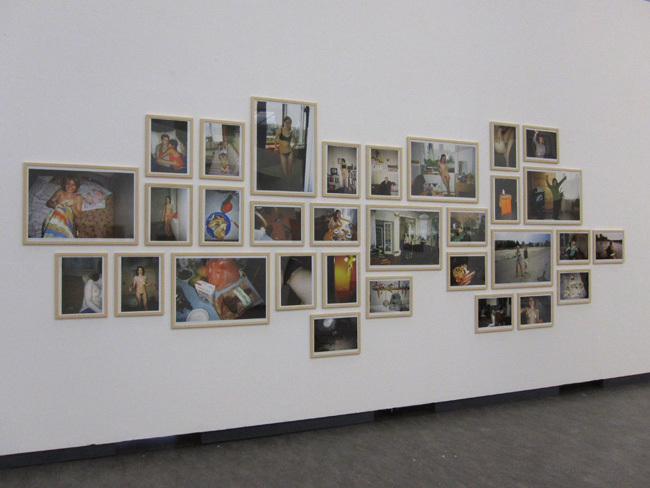 This is a collection of photographs by Baltic artists of the same generation, born between 1975 and 1985. The title of the book is a metaphor that describes the community, which comes together in the photographs, and a statement that these artists do reflect on the place they live in. 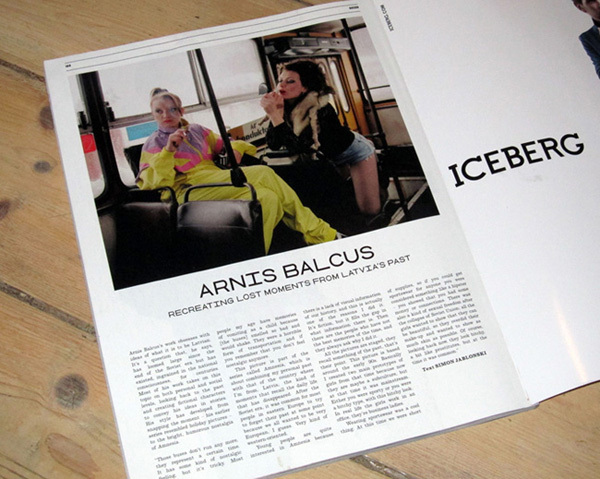 Arnis Balcus features in the February issue of British magazine Dazed & Confused, where he talks about one of his photographs from the series Amnesia.